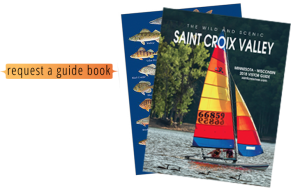 The Minnesota Chambers of Commerce and Communities invite you to take advantage of their travel resources, as you plan your visit to the Saint Croix Valley. We look forward to welcoming you into the Valley communities and providing you with information on lodging, restaurants, festivals, nature spaces, galleries, events, shopping and more. Please visit our websites or call the offices of the St. Croix Valley Chambers of Commerce, Convention and Visitor Bureaus and Communities listed below for detailed travel and tourism information.